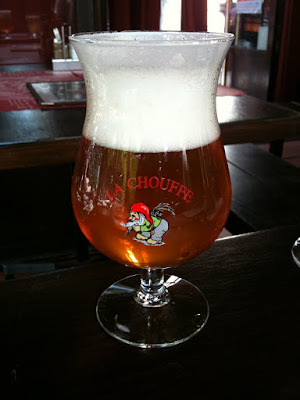 Yesterday, Aug 26, I had beer #3, a recommendation from my friend Frank Wilder, La Chouffe (25cl). 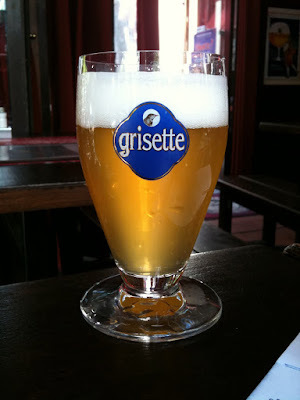 See Beer Advocate review here. It's a little stronger than most beers at 8% ABV, but I like it. It was light, not bitter but not really sweet either. It just went down really smooth. I'll probably be getting this some more. 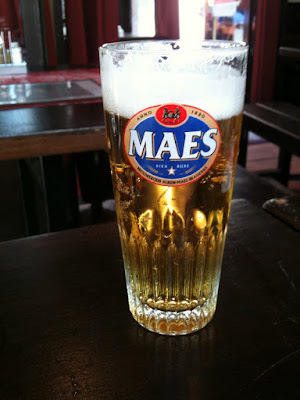 Amanda first ordered a Grisette blond and hated it (although I thought it was ok -- so did Beer Advocate) so they gave her a Maes, which she liked.